This newsletter delves into the question “Is affordable housing is the only savior for the industry'? It also outlines the policies and practices in the international and domestic context. Please fill up the form below to download the special report. 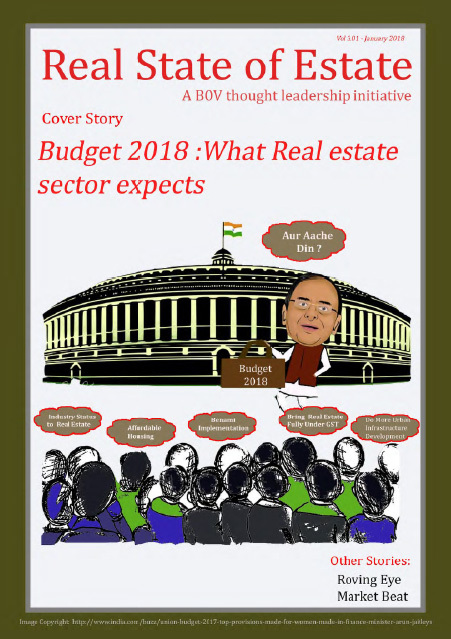 This newsletter is focused on last three years of Modi government and sector expectation from the budget 2018.These newsletter presents highlights of what all changes were noticed in the real estate sector in the last three years and what real estate sector expects from the union budget 2018. The yearbook summaries the intellectual capital in the year that was and look forward in the year that will be. 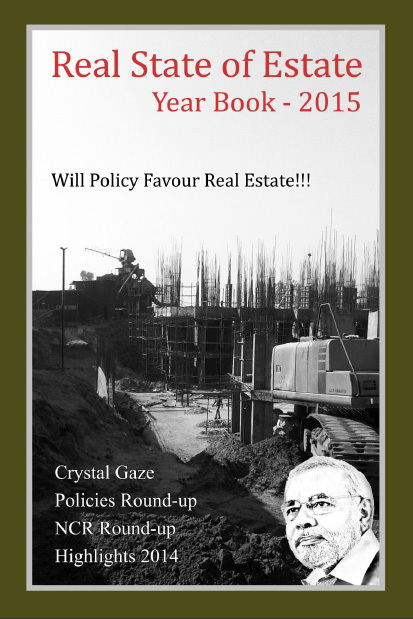 These yearbook covered an overview of major real estate policies pertaining to real estate, a detailed round up of NCR real estate market and industry highlights of 2014. 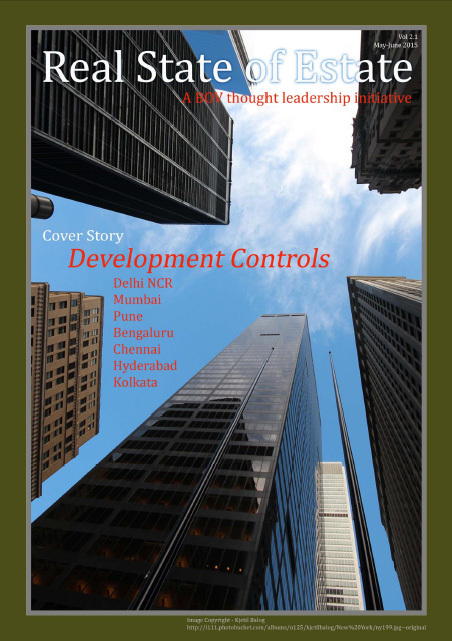 These yearbook focuses on land, finance and development related policies, sub – markets of Delhi NCR. Please fill up the form below to download the newsletter. 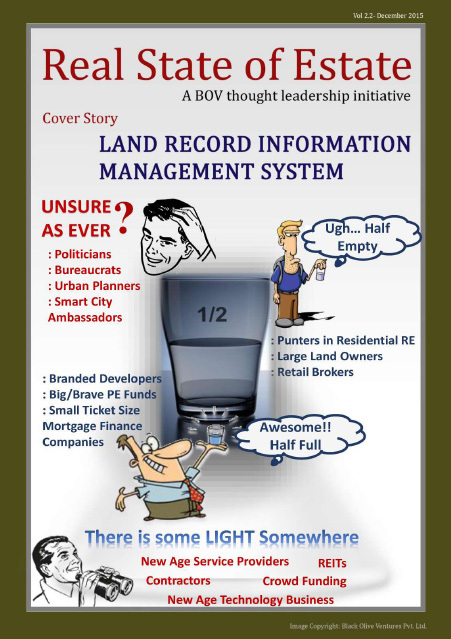 The newsletter is focused on the Land Record Management System in India, drawbacks in Manual Land Record Management system, Land Record Reforms which include Strengthening of revenue administration & updating of land records (SRA&ULR), Computerization of land records(CLR), National Land Records Modernization Programme (NLRMP)- activities and status and case study of HALRIS Haryana. The newsletter is focused on development control regulation i.e.. Existing building byelaws in 7 Tier I Cities of India which include permissible FAR, ground coverage and permissible height of building of residential group housing, plotted development, commercial and industrial regulations. 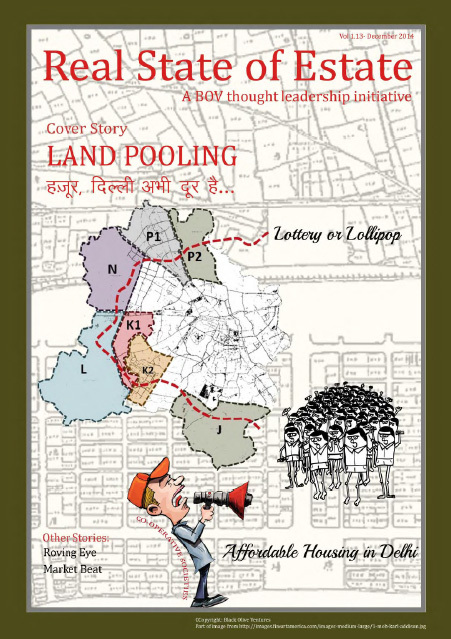 The newsletter is focused on land pooling policy in Delhi, proposed operationalization of land Pooling Policy, transfer of development rights and effect of land pooling policy on real estate and limitations of land pooling policy in Delhi. The newsletter is focused on the trends based on the happenings largely in the NCR and India that affect the real estate sector. 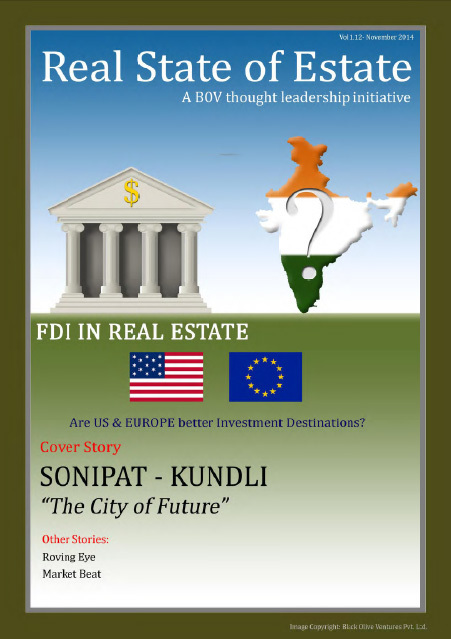 It focuses on the real state of Sonipat Kundli real estate, physical and social infrastructure scenario and further price trend of Sonipat Kundli. The newsletter is focused on the new land acquisition act, steps involved in new land acquisition act, their implications on land owners, infrastructure development and the raw deals. 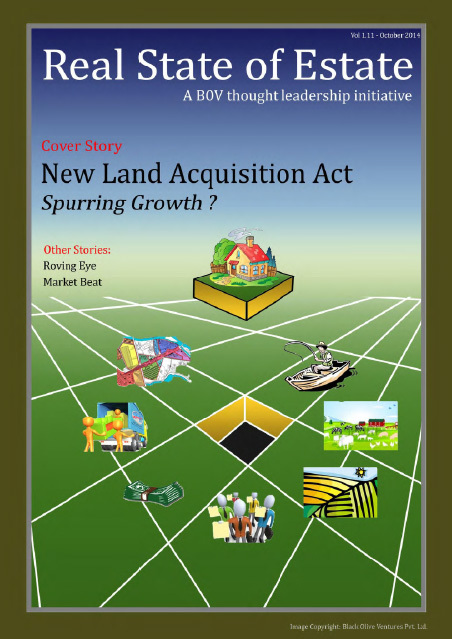 In other words, this newsletter is focused on the impact of land acquisition on various stakeholders. 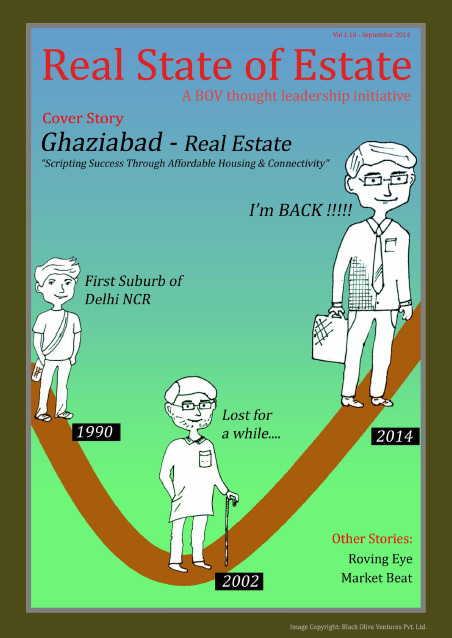 The newsletter is focused on cutting edge 'Thought Leadership' and the trends based on the happenings largely in the Delhi NCR that affect the real estate sector, i.e., macro-economic changes, infrastructure development, policy changes and major transactions. It focused on Ghaziabad real estate story which includes infrastructure development, road connectivity and also micro markets and property prices in Ghaziabad. 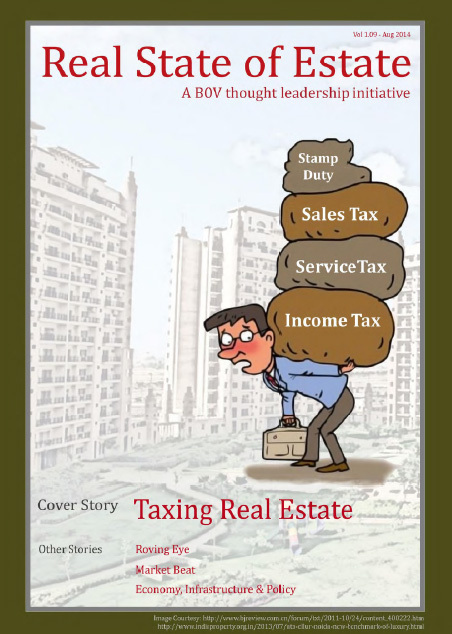 The newsletter is focused on tax on development of property, Proposals of the Income Tax Department on direct tax on Developers, types of Taxes on Real Estate owners/buyers, Capital Gain tax, property tax, wealth tax and also focuses on the impact of tax on Occupiers and investors. 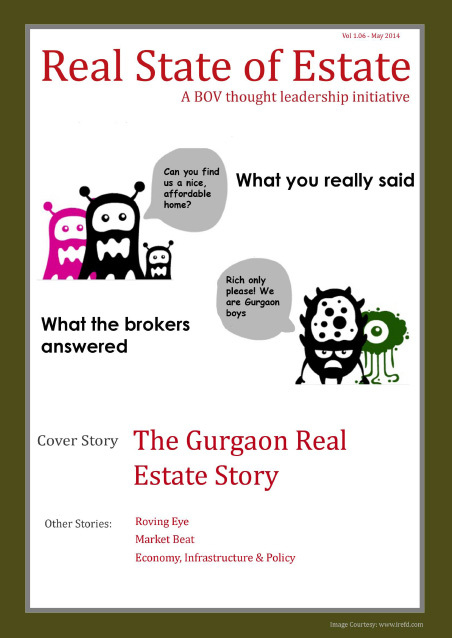 The newsletter is focused on cutting edge 'Thought Leadership' and the trends based on the happenings largely in the Delhi NCR that affect the real estate sector, i.e., macro-economic changes, infrastructure development, policy changes and major transactions. 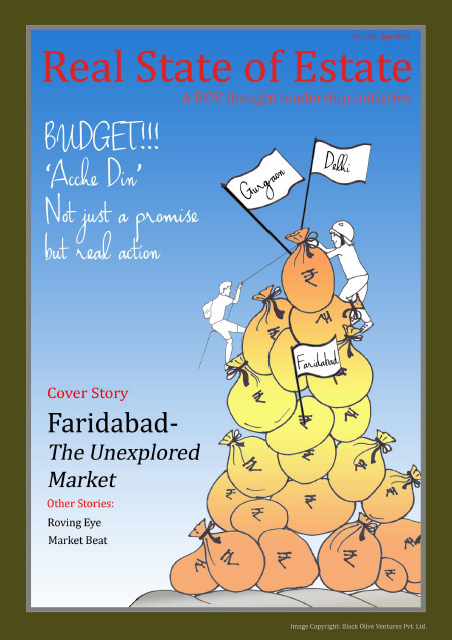 This newsletter is also focused on Faridabad sub markets i.e. their micro markets, their infrastructure development and existing property prices in various micro market of Faridabad. 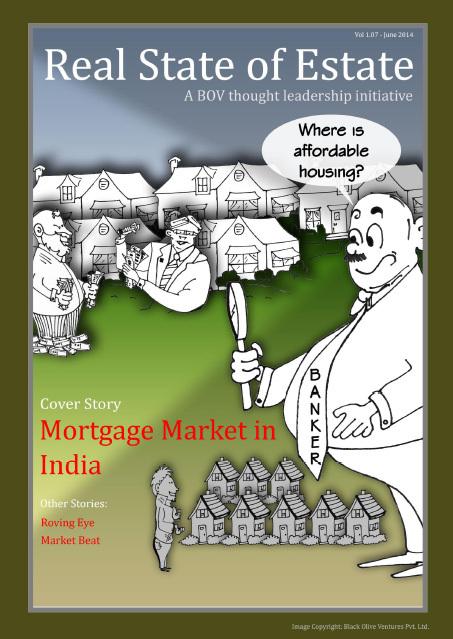 The newsletter is focused on Mortgage market in India which include growth of housing finance, performance of the mortgage market, sources of finance, other mortgage product and micro finance for housing and new developments in the Indian housing sector. The newsletter is focused on the trends based on the happenings largely in the NCR especially in Gurgaon that affect the real estate sector, i.e. macro-economic changes, infrastructure development, policy changes and major transactions. 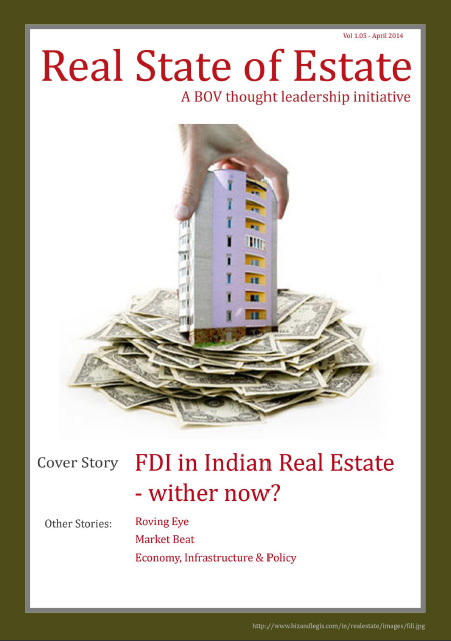 The newsletter is focused on FDI in Indian real estate which include private equity investment in India, 'Cowboys' era of 2005-2008,Post 2008 from Cowboys to 'Being Men' era, Proposed policy changes in FDI and the way forward – Gentlemen's game in Indian real estate. 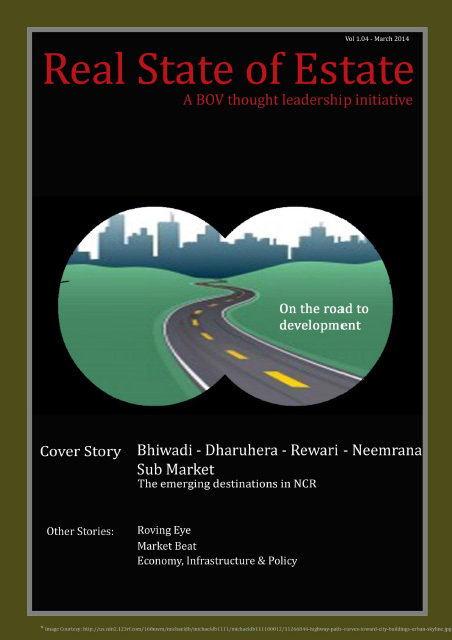 The newsletter is focused on the trends based on the happenings largely in the NCR affect the real estate sector, i.e., macro-economic changes, infrastructure development, policy changes and major transactions in Bhiwadi, Dharuhera, Rewari and Neemrana sub market. 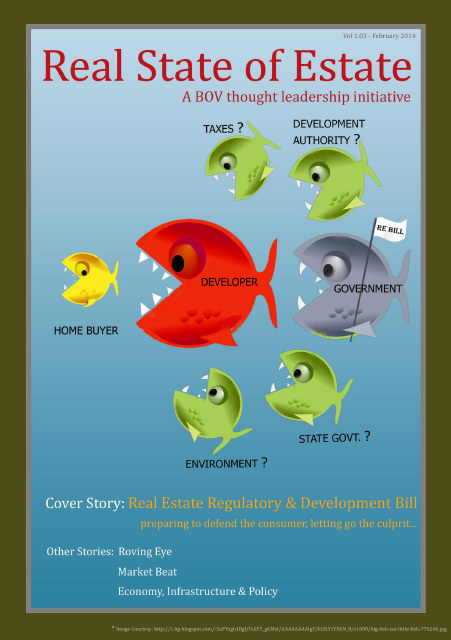 The newsletter is focused on the key features, analysis and critique of the real estate (regulatory and development bill) and also focused on preparing to defend the consumer through these RERA bill. The newsletter is focused on the trends based on the happenings largely in the Noida – Greater Noida Sub Market that affect the real estate sector, i.e., macro-economic changes, infrastructure development, policy changes and major transactions. 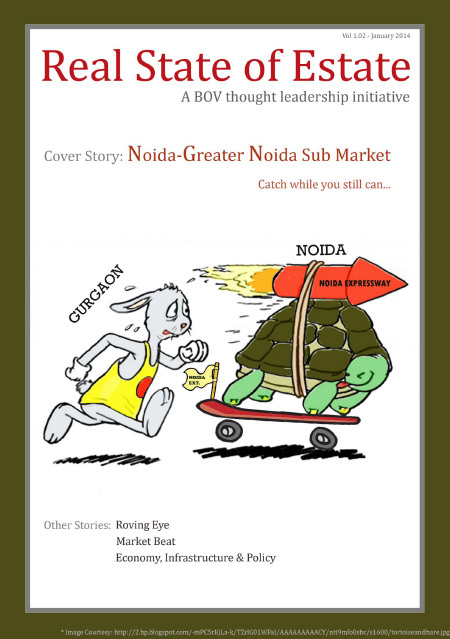 This newsletter is focused on Noida – Greater Noida real estate story which includes infrastructure development, road connectivity and also micro markets and property prices in Noida and Greater Noida sub market. 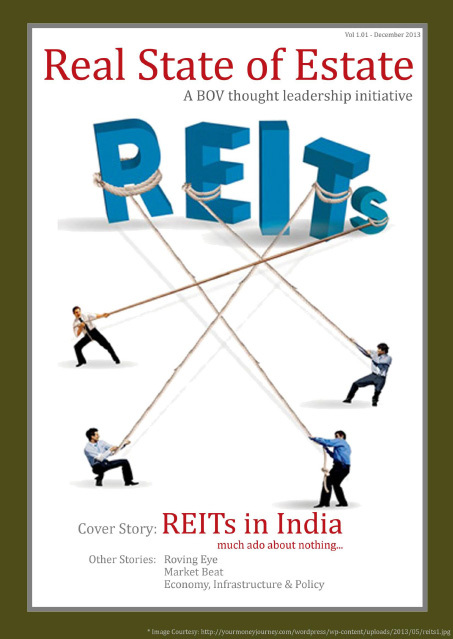 The newsletter is focuses on proposed Real Estate Investment Trust (REIT) regulations as released by SEBI in 2013 have been welcomed by the industry at large and have generated once again the debate of a possibility of REIT's becoming a realty in India.